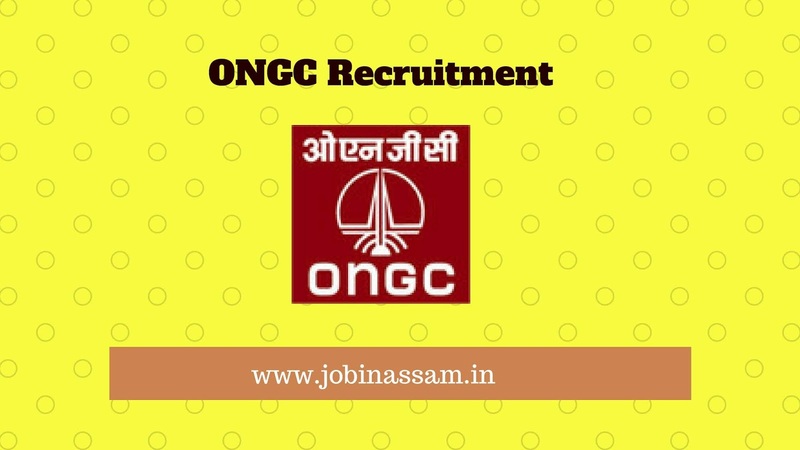 Oil and Natural Gas Corporation Limited Recruitment 2019: ONGC is looking for young, promising and energetic aspirants with bright academic records to join the organization as Class I executive (at E1 level) in Engineering and Geo-Sciences disciplines through GATE 2019 against Advt. No. 3/2019 (R&P). 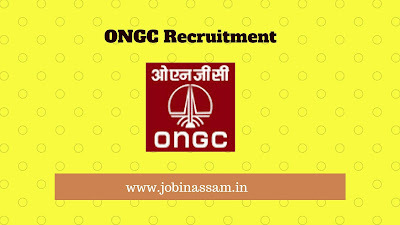 Oil and Natural Gas Corporation Limited (ONGC), a “Maharatna” Public Sector Enterprise, is the largest Crude Oil and Natural Gas Company in India, contributing around 70 percent to Indian domestic production. Hello friends, welcome to Jobinassam.in. I am Prashanta Paul and Here we discuss all the latest Govt. jobs, Private jobs, Company Jobs, Results, Academic information, etc. Stay connected with us for all the latest information about Assam Career. The mode of Application is Online. No other mode will be accepted. Interested candidates are requested to go to the website given below and apply online through the proper process. Starting date for receiving online applications: 05-04-2019. Qualification: Graduate Degree in Electrical Engineering with minimum 60% marks Should have Certificate of competency as Electrical Supervisor. Qualification: Graduate Degree in Electronics Engineering with minimum 60% marks OR Graduate Degree in Telecom Engineering with minimum 60% marks OR Graduate Degree in E&T Engineering with minimum 60% marks OR Post Graduate Degree in Physics with Electronics with minimum 60% marks. Qualification: Petroleum Graduate Degree in Petroleum Engineering /Applied Petroleum Engineering with minimum 60% marks. Qualification: Post Graduate in Chemistry with minimum 60% marks. Qualification: Post Graduate Degree in Geophysics with minimum 60% marks OR M.Tech. in (Geophysical Technology) with minimum 60% marks OR Post Graduate Degree in Physics with Electronics with minimum 60% marks. Qualification: Graduate Degree in Computer Engineering with minimum 60% marks OR Graduate Engineering Degree in Information Technology with minimum 60% marks OR Post Graduate in Computer Applications (MCA) with minimum 60% marks OR Post Graduate in Computer Science with minimum 60% marks 'B' level diploma as defined by Dept. of Electronics, GOI. Salary: The selected candidates will be placed in the pay scale of Rs. 60,000 — 1,80,000/- with an increment of 3% per year. Besides Basic Pay, the employee is entitled to allowance @ 35% of Basic Pay under Cafeteria Approach, Dearness Allowance, HRA/Company Accommodation, Contributory Provident Fund, Conveyance Maintenance, Substantial Performance Related Pay (PRP), Medical Facility for self and dependents, Gratuity, Post Retirement Benefit Scheme and Composite Social Security Scheme as per Company rules.